Under Alessandro Michele’s defining individualist vision Gucci is now synonymous with Italian eccentricity. Think signature house icons reimagined with exotic blooms, animal and flower embroidery and retro athletic motifs. 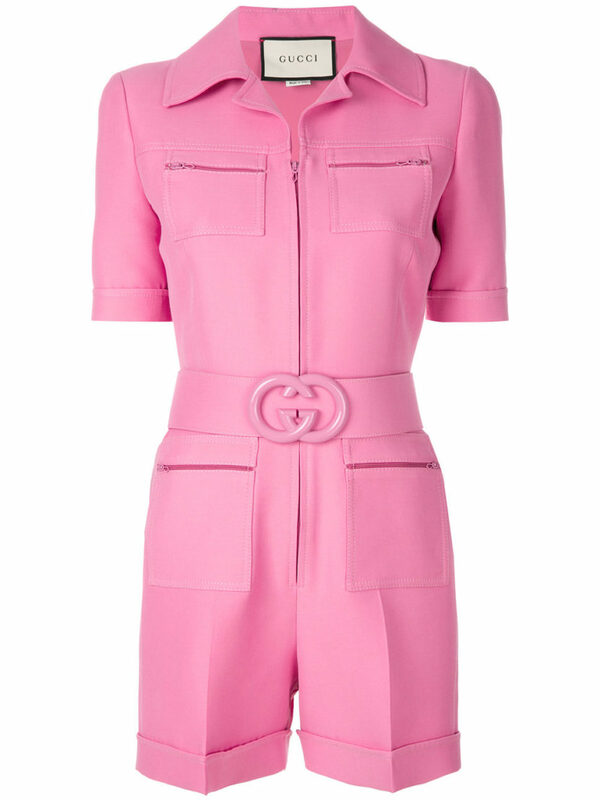 This pink wool-silk blend and leather short belted playsuit from Gucci features front zipped pockets, a front zip fastening, short sleeves, pleated details, a short length, a belted waist and a notched collar.